Clean my room they said. 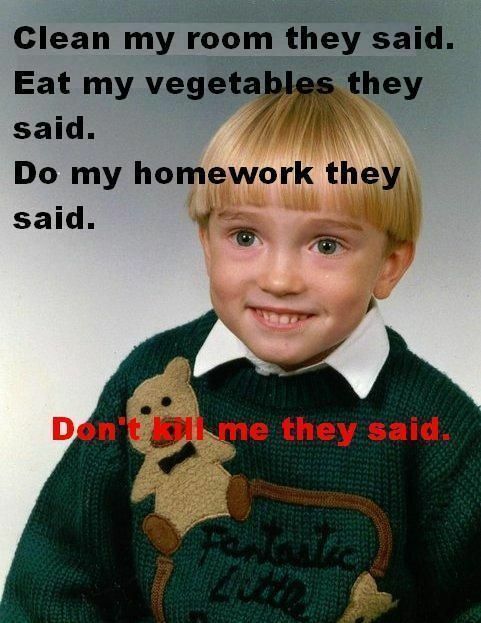 Eat my vegetables they said. Do my homework they said. Don't kill me they said.